While identity theft can happen to anyone, there are some things you can do to reduce your risk. 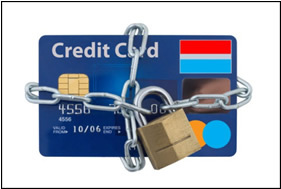 If you think someone is using your personal information to open accounts, file taxes, or make purchases, visit IdentityTheft.gov to report and recover from identity theft. Mistakes on your bank, credit card, or other account statements such as withdrawals or purchases that you know you have not made. Mistakes on the explanation of your medical benefits from your health plan that do not coincide with when you were either in the hospital or at your doctors. Your regular bills and account statements don’t arrive on time or look like they have been tampered with. You receive bills or collection notices for products or services that you have never received or asked for. 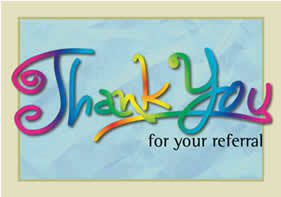 Read your credit reports often. You have the right to a free credit report every 12 months from each of the three nationwide credit reporting companies. You can order your credit reports from all 3 credit reporting companies four times a year at www.annualcreditreport.com or call 1– 877 – 322 – 8228. Read your bank, credit card, account statements, an explanation of any benefits from your health plan. If this statement has inaccurate information or doesn’t come in on time contact your supplier. Shred all documents that show any personal financial or medical information before you throw them away. Beginning the inventory process can be simplified by making good use of your mobile phone. 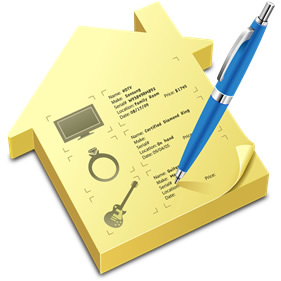 There is an abundance of home inventory applications available through iTunes and Google Play. Many of them are free. They all offer a way of cataloging contents of your home with descriptions, images and values. If you are not sold on the idea of using an app to summarize your household contents, then consider making a 360-degree video of each room. Be sure to include content of closets, attic and basement, as well as special items such as jewelry, artwork and electronics. Both methods will prove to be useful if you need to file a claim. Many Insurance providers offer tools to make tracking your belongings easier. Whether a home inventory checklist or a handwritten list of high-value items, cataloging your items will reduce the stress of filing a claim in the event of a loss. To make this process easier join forces with your spouse, adult child or trusted friend. Divide and conquer, with each person covering a room or set of rooms. You may also to opt to work as a pair, with one person calling out the items, including serial numbers and model numbers, while the other records the information. Either way, it will make the task less daunting when a team approach is used. 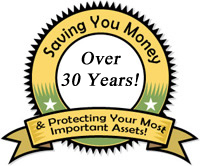 Many homeowner policies of replacement cost coverage. To gauge the proper costs associated with lost items, keep a file of your receipts along with the manual showing model number and/or serial number. Often times we neglect adding new purchases to an existing home inventory list. By using this filing system, you will be sure to have all of the information necessary to file a claim should tragedy occur before you’ve had a chance to update your inventory checklist. Whether or not you have separate insurance policies for your more valuable items, you will want to keep a separate inventory of these items. In times of distress, it will be difficult to remember all of the costly treasured you have amassed over the years. Remember to include items such as: Jewelry and engagement rings; Silverware, china and crystal; Antiques; Fine art; Stamp and coin collections; Bicycles; Trophies; Sound equipment (recorders); Sports equipment (archery, camping, fishing, skiing); Wedding gifts; Cameras; Computers; Musical instruments; Golf Equipment; Furs; Firearms; Pedigreed dogs; Garden tractors and Political campaign collections. Check with your agent to make sure that you have adequate insurance coverage for these items as they may need to be insured separately. Consider putting jewelry or other valuables that you don’t often wear or use in a safe deposit box. Once you have completed your home inventory list (remember a partial or incomplete list is better than none at all) you will want to keep it safe. If you have the inventory recorded digitally, consider using cloud storage to keep it “offsite” but accessible if or when you need it. If you do not have access to cloud storage options back up digital files on a thumb drive and save handwritten files safely outside of your home. Consider a locked box at your office, or a safe deposit box through your local financial institution. Make sure your water pressure is not set too high. An appropriate level should be between 60 and 80 PSI. Flushing sediment from the hot water tank improves its efficiency and longevity. Standard hoses on new appliances are not as durable as they used to be. So check your appliances. Consider buying a water alarm, which can help you find leaks, or automatic shut-off mechanisms. Make it a practice to avoid running the washing machine or dishwasher while you’re not at home. When you leave for vacations, turn off the water supply to all appliances. 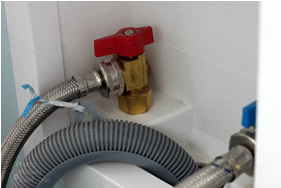 Keep up maintenance on all appliance hoses, because slow leaks from worn material can cause major water damage. We hope these pointers will ensure your home stays nice and dry this year! Read the full blog. Just because its winter doesn’t mean you can’t stay active! 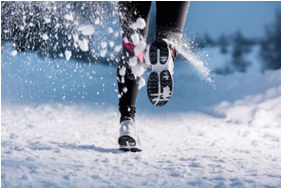 Get moving and stay in shape during the cold months with these tips.